As a matter of urgency the Progressive Muslim Forum is calling on the government of Ghana through Hajj board to publish an audited account on Hajj 2017 and 2018 for the Muslim community and the public in general. According to Progressive Muslim Forum, they find it disrespectful to the Muslim community that the NPP government is making no effort to render detailed account on the 2017 and 2018 Hajj to the Ghanaian Muslims. “The President and His Vice should not sit and watch the Hajj board and some few members of the political class plunge this huge profit-making venture into a corruption hub,” they added. The Progressive Muslim Forum finds it disrespectful to the Muslim community that the NPP government is making no effort to render detailed account on the 2017 and 2018 Hajj to the Ghanaian Muslims. It is almost a year since our brothers and sisters returned from the 2018 Hajj; and until now, there is not a single report to the public on how the funds paid into the Hajj accounts were disbursed. 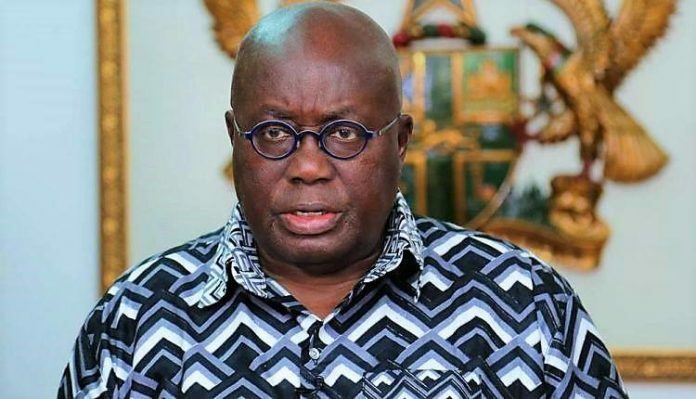 Government and Hajj board members have consistently reported on the airwaves on how the Nana Addo government subsidized Hajj in this country, yet not a single report to authenticate this allegation. The Progressive Muslims Forum is reliably informed that the government of Ghana rather makes profit from the monies the Muslim Committee pay towards their pilgrimage. We cannot continue to throw dust in the eyes of the public for personal parochial political interest. Politician in successive government have rather included party apparatchiks among the pilgrims for free. This is the reason why there is a whole lot of problem with successive Hajj in this country. We therefore demand the government of Ghana through Hajj board to publish an audited account on Hajj 2017 and 2018 for the Muslim community and the public in general. The President and His Vice should not sit and watch the Hajj board and some few members of the political class plunge this huge profit-making venture into a corruption hub. Hajj in every country brings remittances to the nation. Why is Ghana’s case different? The Vice president must ensure there is transparency in the work of Hajj board by way of rendering annual audited reports and regular interaction with the people on Hajj matters. Next articleDivas of Colour Festival’s sexual abuse campaign:Design Essentials Hair Care Systems on the catwalk in support.